The 2017 DTH shirt design featuring the iconic quote from Jen Pilla Taylor. 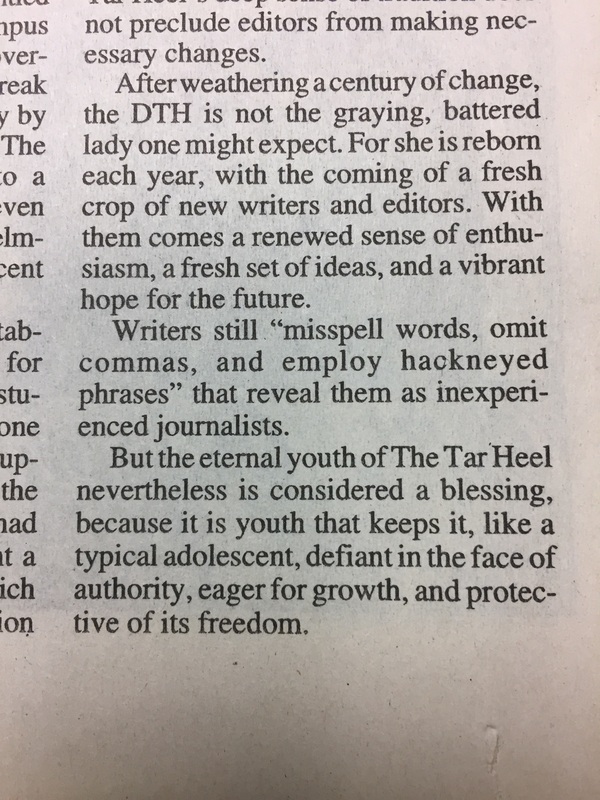 If you worked at the DTH in the last 20 years, you’ll remember the quote that was posted across the top of the newsroom wall in old Union newsroom, and across the top of the conference room in the current room. It came from the 1993 Centennial Edition of the newspaper, in an essay written by Centennial Edition Editor Jen Pilla Taylor. The quote has inspired generations of DTHers to ask tough questions and challenge the quo. This year, as we celebrate the newspaper’s 124th birthday, the quote will be featured on the 124th birthday merchandise: long- and short-sleeve tshirts, coffee mugs and laptop stickers. The tshirts and mugs are on sale now. The shirts will be charcoal with light-blue screen printing. 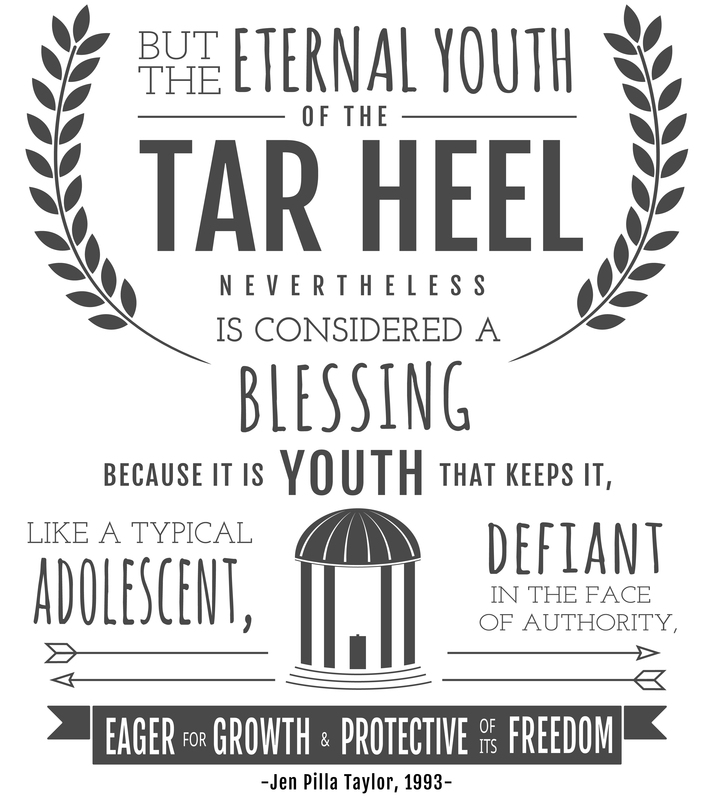 The illustration will be on the back of the shirt, with the traditional DTH nameplate across the front. The mugs will be black with light-blue printing. The DTH T-shirts and coffee mugs now available for alumni to purchase to support the DTH. Design by Zach Walker, class of 2016. The gear is currently for sale through the Alumni Homecoming registration page. You do NOT have to come to the alumni event to order a mug or shirt (or donate to the DTH) through the registration page. It’s easy! Shirts are $16 for short sleeve, $20 long sleeve. Mugs $7.50. Pre-orders are due on Feb. 9.